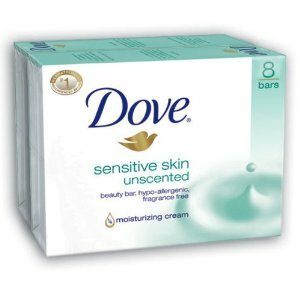 Get Dove Bar Soap, Sensitive Skin Unscented, 4.25 oz. bars, 16 Count for just $17.98 which is a 28% saving on list price. Save an extra 5% with Subscribe and Save and remember you get free shipping and can cancel at any time. This takes the price down to just $17.08.